GreenTeam Service Corp: Plumbing Tips for New Homeowners! Plumbing Tips for New Homeowners! Moving into a new home comes with great responsibility. As a new homeowner, some of these things come with experience. Here are a few basic plumbing tips to get you started! 1. Have your water heater inspected annually by a licensed plumber, like GreenTeam Plumbing! Your water may feel hot, but that doesn't mean problems aren't lurking behind the scenes. To avoid potential health issues and hardware failure, don't skip that annual water heater check-up! 2. Call GreenTeam to have your tap water tested at least once a year. Harmful bacteria and chemicals can sneak their way in to your water supply, so this is one yearly test you won't want to miss. 3. If you notice puddles forming around your toilet, check for leaks. Ignoring them can lead to severe damage and can cost you more money the longer you put off getting it fixed. Call GreenTeam the moment you suspect a leak! 4. If a severe, uncontrollable leak occurs anywhere in your house, turning of the water main should be the first action you take. Make sure you know where it is located so you don't find yourself under wate in the event of an emergency. Calling GreenTeam should be your second step in resolving the issue! 5. A strong shower head can make or break your shower experience, but remember that too much pressure can wear down your shower fixtures. 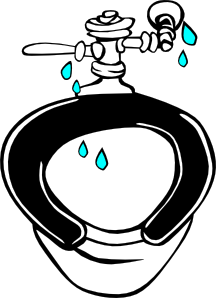 Call GreenTeam to have your water pressure checked every few months. The recommended pressure level is between 60 and 180 PSI. Remember, for these and all other plumbing issues you experience, call the experts at GreenTeam Plumbing to save the day! Nice write-up. These tips are really helpful for home owners. Whether it's a kitchen sink full of murky water or an overflowing lavatory, you've probably experienced a clogged drain before and reached for the drain cleaner. When moving to a new house, it is best that you inspect its plumbing condition beforehand. You don’t want to experience having to bring out your furniture after you’ve settled down and put everything in place, just because you have a leak somewhere. Hiring expert plumbing services would make everything less complicated. Thanks for shareing this . your tips useful to me and your views so informative and helpful. When it comes to plumbing it seems that an over flowing tool box full of tools could be a very reasonable possibility. There are specialty tools as well as common tools that seem to be a bit overwhelming when it comes time to start your collection of DHL Mechanical Radiant Heating experts tools.